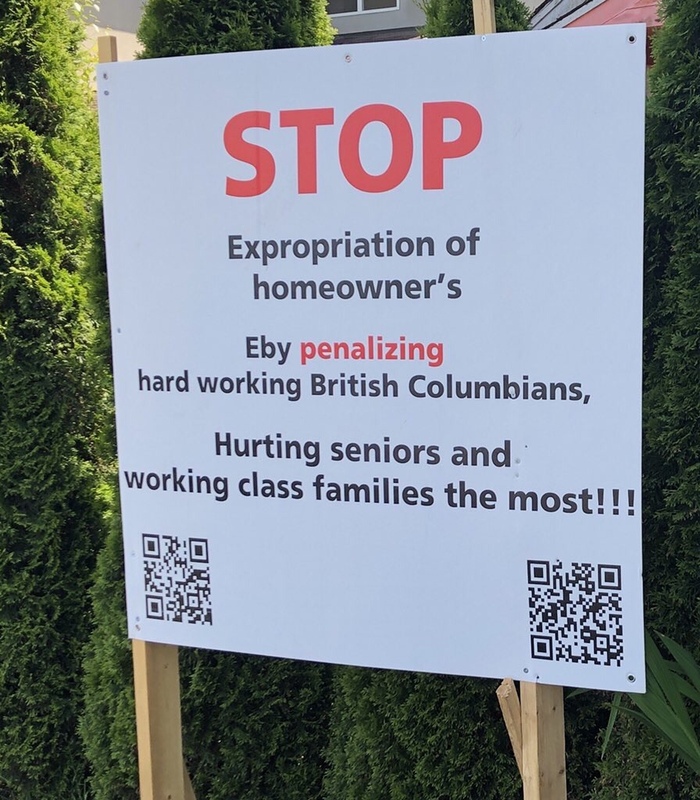 These and similar signs went up in various locations around Vancouver following NDP’s announcement of the extra school tax on homes which are worth more than 3 million. Now there are several things just wrong with this banner not to say people who oppose the school tax on these grounds are just being hypocritical, selfish and entitled. This banner is so wrong in so many ways that honestly I’m dumbfounded. 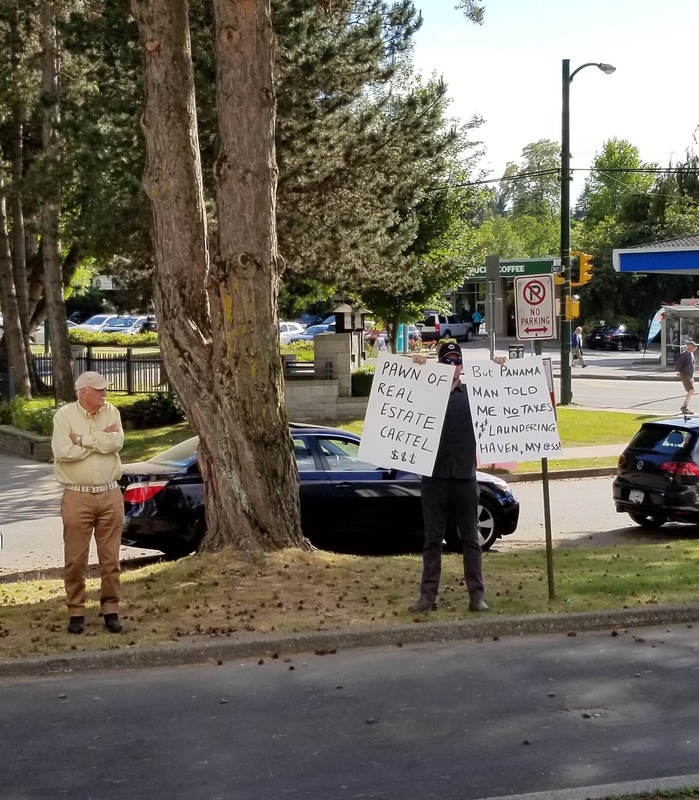 just the SFH property owners alone earned more by twiddling their thumbs than the entire population of the City of Vancouver did by – actually working. And in most cases homeowners don’t even have to pay taxes on their thumb-twiddle earnings. Yet another indication of how out of touch the property market is with the local enconomy. This article is an excellent data based analysis of how lucrative holding land assets has been for home owners and how little the extra school tax adds additional financial burden relative to this massive windfall. Finally it also provides some suggestions to mitigate the additional tax for those families facing hardships. The extra ordinary land prices created an extra ordinary situation where the landlords started increasing their rental income by evicting tenants after their rental contract expired and getting a new tenant with the increased rent. This they did to cover their high mortgage cost and leveraged finances. Some people bought homes and just left them empty and reaped the benefits of high property value appreciation. This created rental unit shortage and difficulties for families to find a place to live. Rental unit shortage in turn created a market for higher rents and landlords dictating terms to tenants. Higher rents also meant smaller businesses could not afford to maintain profitability, thus shutting down. Higher rents meant higher cost of living and if labor market didn’t keep up with this increased cost, it meant more hardships for truly “hard working Canadians” and “working class families”. This extra school tax tries to rectify the situation as this article explains. It does not hurt working class families as the banner claims. In fact most working class families can’t even buy property in the range of 3 million and above with current wage levels. How hyperbolic can one get? Retirees don’t get hurt either since they can defer the tax or use a rental income to cover it among other options. In a city where people are struggling with real debt and serious risk of going into bankruptcy ( yes, some of them might not have made wise decisions with money by chasing foreign wealth with limited resources, thus getting leveraged to their necks, but the system worked against them as well),one sitting with so much wealth on a real asset should not complain about deferring one’s tax bills – particularly when the interest rate is super low simple interest. 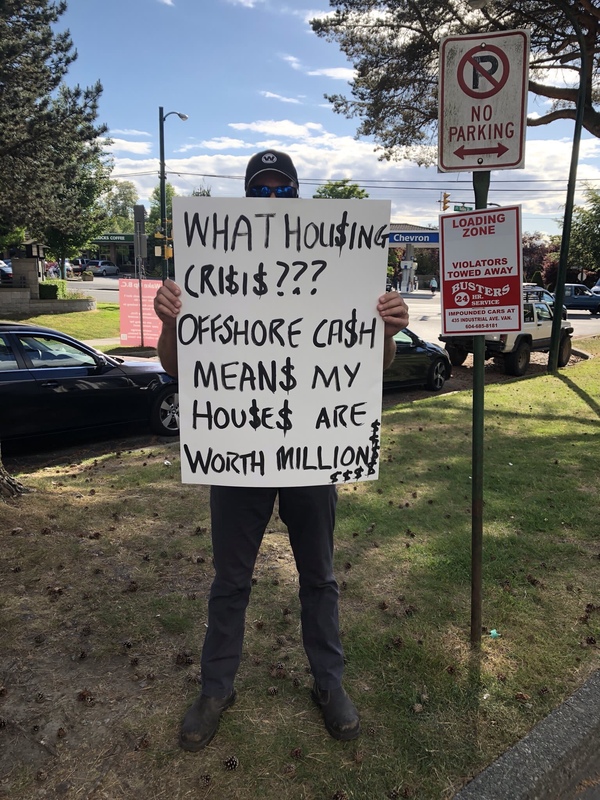 It is unfortunate that in Vancouver the conservative provincial government has ignored the situation for a very long time creating an environment where the wealthy home owners feel they are entitled to “earn” this outrageous windfall at the cost of the rest of the society. Their behaviour is simply hypocritical, unsympathetic, entitled and as one person commented in this article, like “spoiled brats”. Fortunately, there are other home owners who have the right perspective as the pictures below will show. I just hope the number of such enlightened wise individuals far out number the “spoiled brats”. I think in the next BC provincial elections, I will get my answer.